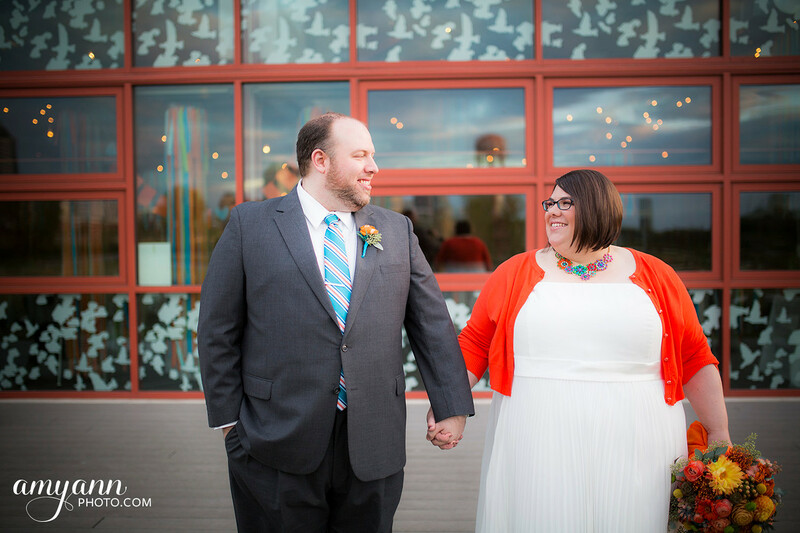 Suzette and Brad were married at St. Francis of Assisi Church in Columbus, Ohio where they live. 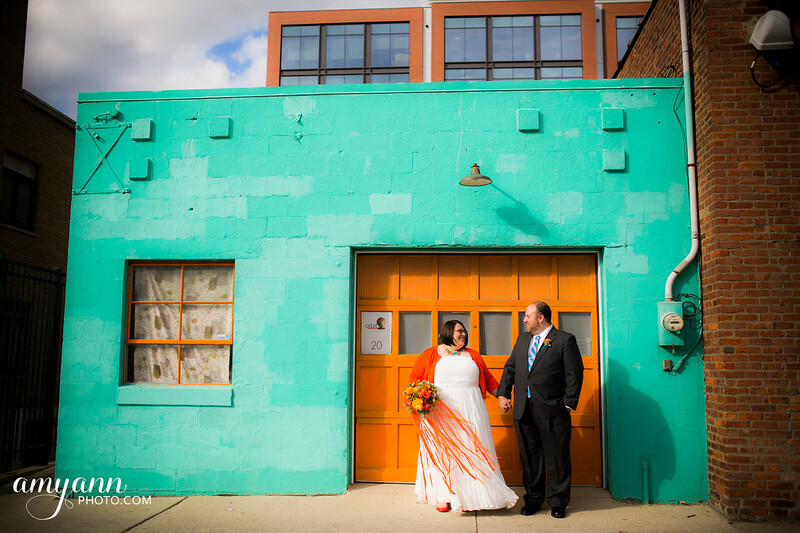 The reception was held a few miles away near at the Grange Insurance Audubon Center; located near downtown Columbus, the center is a nature sanctuary with a mix of industrial and organic surroundings. 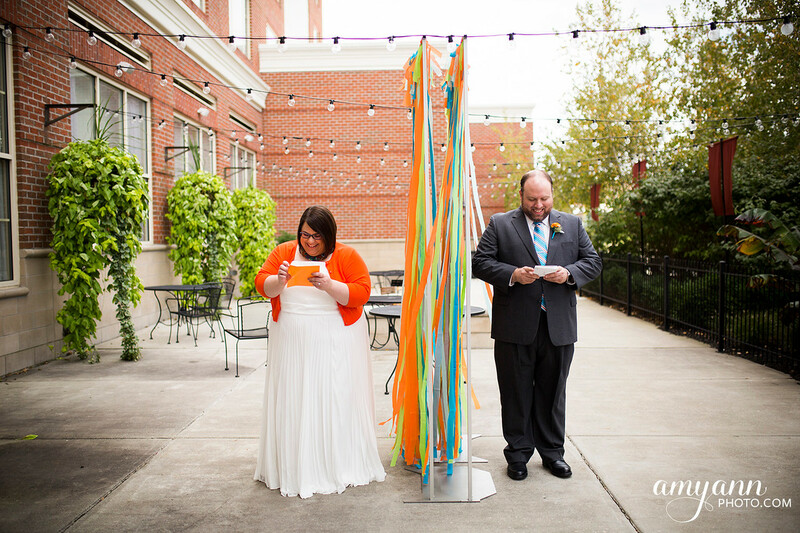 Their first dance was to “Swept Away” by the Avett Brothers, inspiring the couple to literally incorporate movement into their decor as part of the lyrics talk about “whirling and twirling.” They used streamers everywhere – from the reception to the church to the bouquets and even on the backs of chairs for a breezy, casual and colorful wedding. All photos are courtesy of Amy Ann Photography. Q: Why did you choose these locations? Q: Is there a story behind the color theme and why you chose it? Q: Why did you choose Azazie for your wedding dress? Q: Why did you pick this wedding dress? 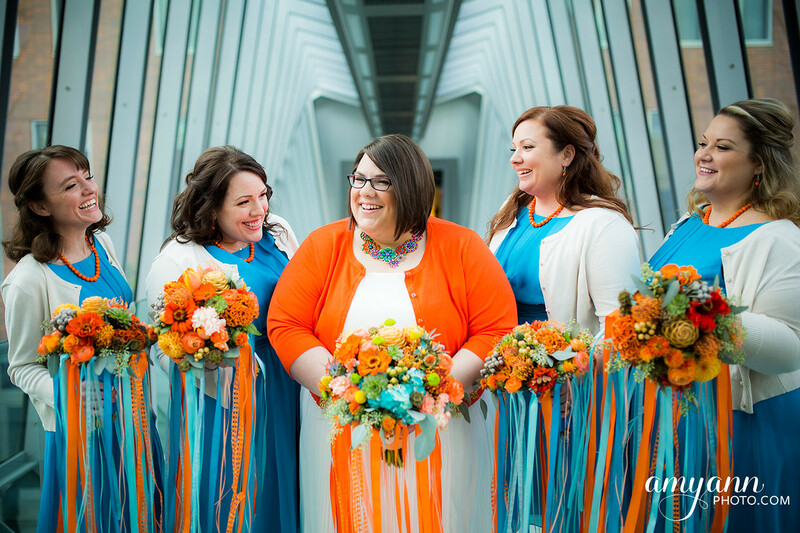 “At first, like most brides, I was overwhelmed. Early on I realized that I was not the typical bride. I didn’t like looking at the popular magazines or what celebrity weddings looked like. I also was not concerned with what was “trending” for weddings that season.